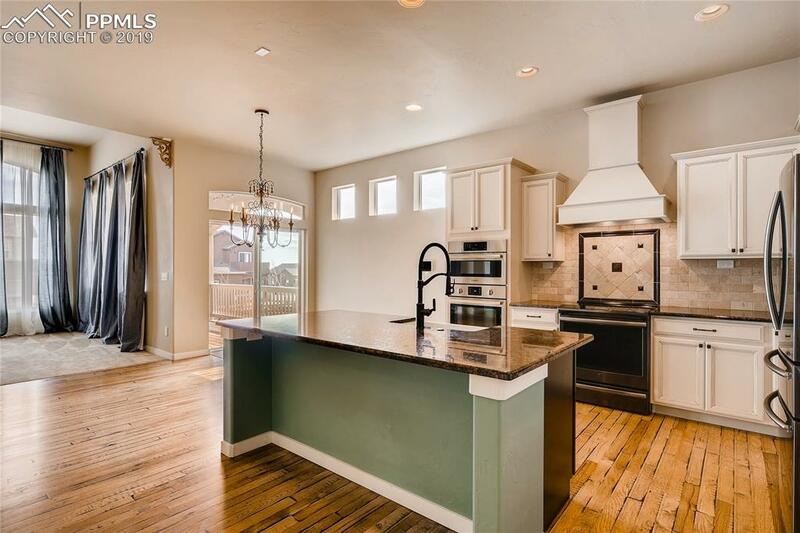 Immaculate Ranch style home located in desirable Wolf Ranch has a tile roof and stucco exterior. Make your way inside and find antiqued Hickory flooring on much of the main level. The kitchen will be the Chef's delight with upgraded cabinetry, w/dove tailed, soft close drawers and doors, farm sink, granite counter, tumbled stone back splash w/accent tiles, stainless double convection micro & oven and slate colored range w/oven and refrigerator. An adjoining breakfast nook walks out to the covered rear trex deck. 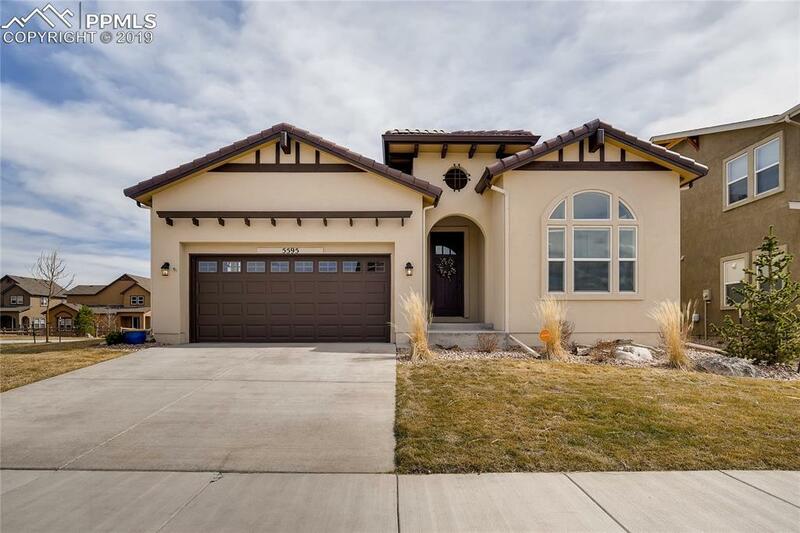 Your private and luxurious Master Suite boasts a 5pc bath with wood look tile floors, large soaking tub & walk in shower w/custom tile, mud set floor, shower seat, stylish glass enclosure and a generous sized walk in closet too! Your great room will be warm and cozy with a gas burning stone surrounded from the floor to the ceiling fireplace with wood mantle. The main level also features a second bedroom, another full bath with glass shower enclosure, tile floor and solid surface counter w/under mounted sink. A flex room that can used as a study for the stay home professional, music room or formal dining room. The laundry room can easily be closed off with the stylish barn door. There's a great space to hide your shoes, backpacks and daily items. 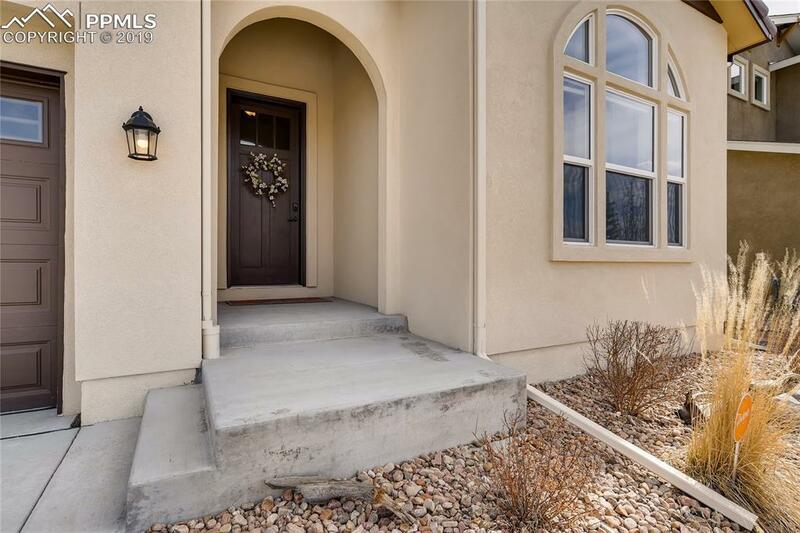 The wrought iron staircase will lead you to the finished basement where you'll find two additional bedrooms, a large rec room and another full bath! There's an unfinished future 5th bedroom too! 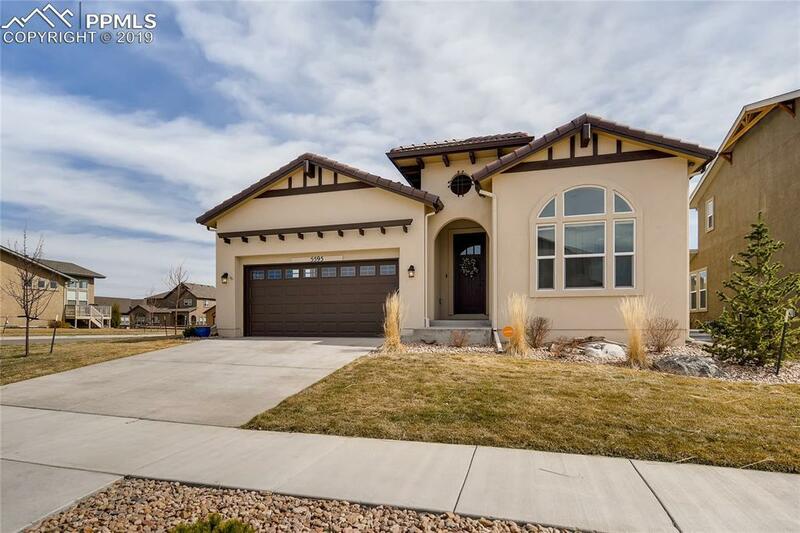 Central air, fully insulated and finished 3 car garage, fenced rear yard, humidifier, custom hand textured walls on the main level, security system, central vacuum system, walk in pantry, pre-wired for surround sound in kitchen and basement rec room. Exterior outlets for seasonal lighting and so much more! Welcome home!